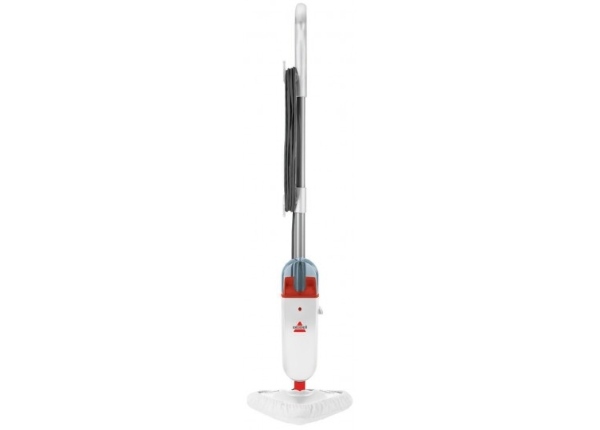 A popular combi mop. 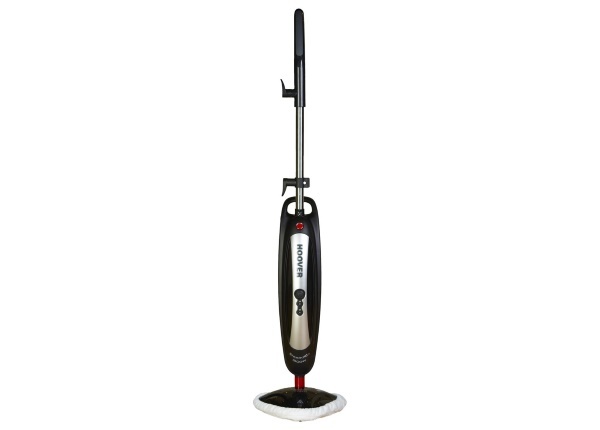 Its floor cleaning power is good and it has a hand held cleaner which does a pretty reasonable job on a multitude of surfaces. Its a bit heavy and noisy in hand held mode. Shouldn't be used with tap water. 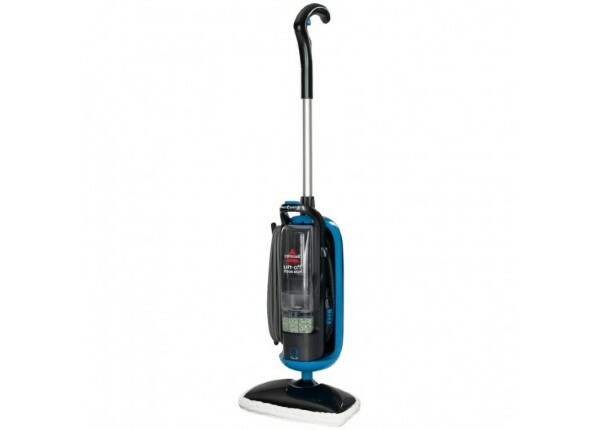 Good value for money if you are after a cleaner for a range of household jobs. 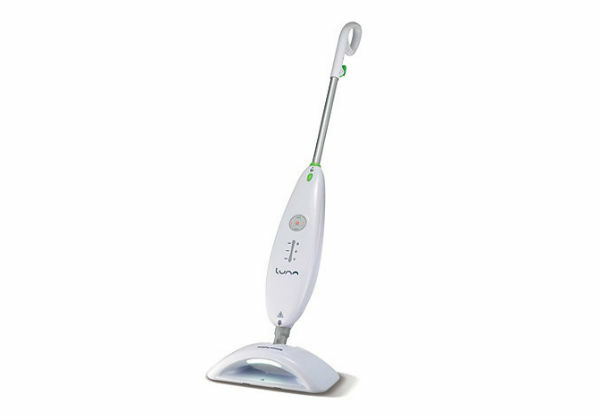 This is a very versatile steam mop, that converts easily from a floor mop to a handheld multi-function cleaner. 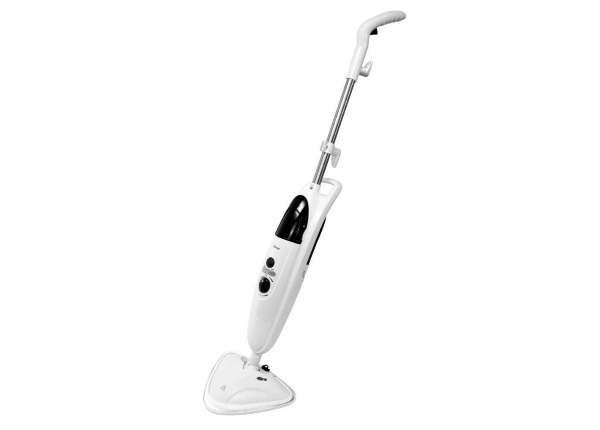 The handheld device can be used to clean ovens, tiles, grout, windows, toilets, taps, upholstery, to de-crease clothes and even defrost a freezer. Generally customers are very enthusiastic about the product. They found the mop easy to use, being reasonably lightweight. 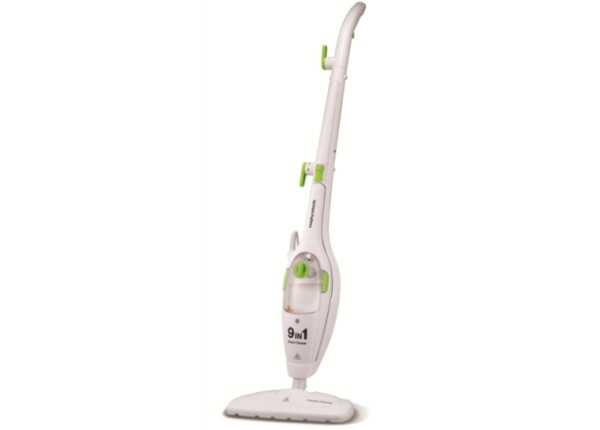 It has good cleaning power on hard floors and is impressive on carpets and rugs, easily getting rid of most marks and odours. It didn’t leave floors too wet after cleaning. It doesn’t cope well with sticky substances, like jam spills, but this is a common problem with most steam mops. 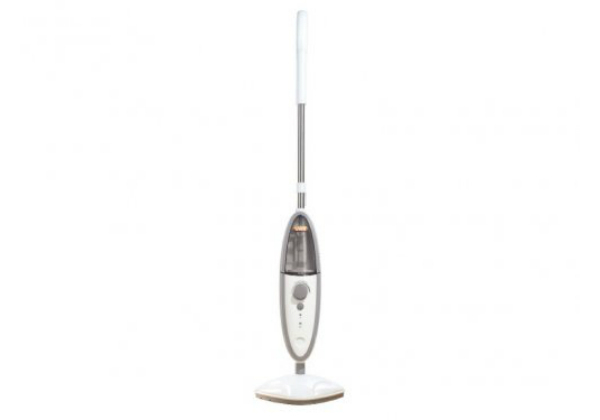 It’s quiet when used as a mop and the swivelling mop head deals well with cleaning into corners. Criticisms are that the power cord could be longer (it’s 5 metres) and taller users have found the handle a little short for optimal comfort (dimensions are Height 110 x Width 30 x Depth 14 cm). As a handheld device it has several attachments. The angled nozzle is good at cleaning grout and hard to reach places. It is great for de-creasing and de-odourising clothes. It does an efficient job of removing limescale from around taps and toilet bowls. It can be used for cleaning hobs and baked on grease on oven doors. The only real criticisms of the product, when used in handheld mode, is that it is quite heavy and also rather noisy. The manufacturers recommend that this product shouldn’t be used with tap water, but instead with demineralised, de-ionised or distilled water. Indeed the guarantee is invalidated if tap water is used. 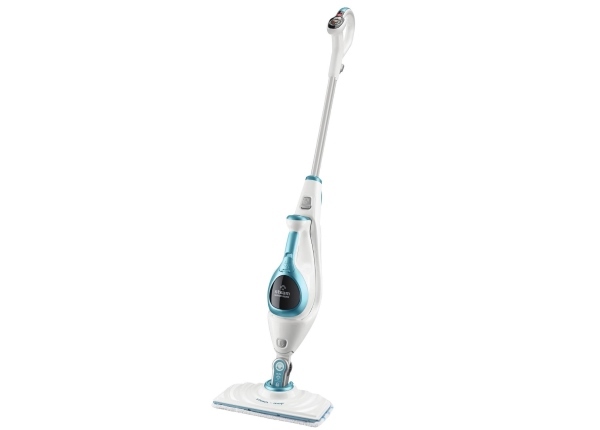 When filled with water it produces steam in 30 seconds and has about 15 minutes worth of cleaning power, before the detachable water tank needs to be refilled. 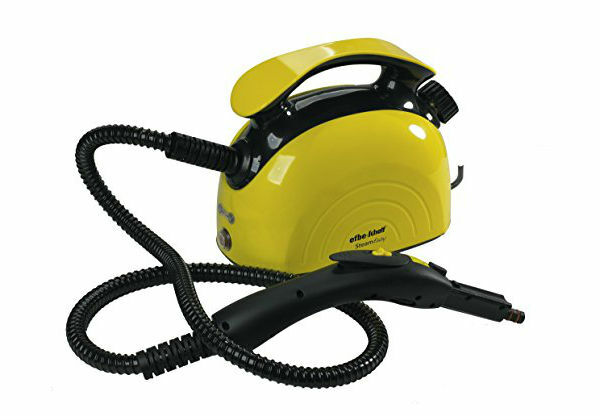 Users found that it didn’t produce as much steam as some models on the market and the steam strength isn’t adjustable. The steam is produced by a trigger and then comes out in a burst. The cloth mop head cleans easily in the washing machine. 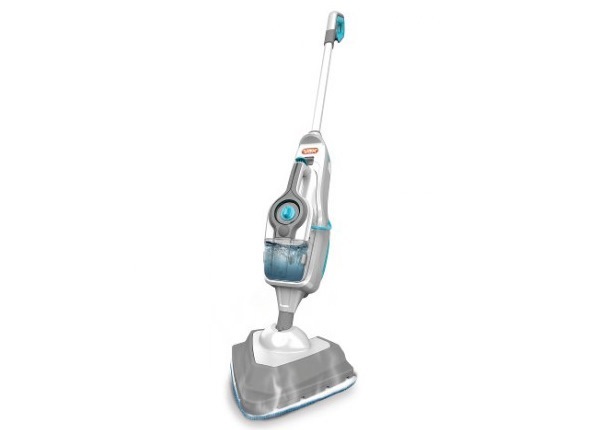 The consensus is that this is good value for money and great, not only for floor cleaning, but for a range of household jobs. Still not sure? Check out the real customer video review below for a buyer’s take on the Morphy Richards 9 in 1. And you can read lots more buyer reviews by clicking the blue banner below the video.